I recently bought an iPhone, and am very happy with it, but… I create videos for a living, and I do wish there was a simple way to add folders to my iPhone. I already have them loaded, but I want to break them up into categories— animation samples, corporate presentations, broadcast samples, etc. It seems like there is no way to create libraries for movies, inside of iTunes. Have I overlooked something? Given I have no room on my phone for video, I don’t have any idea how to answer this. Anyone know the answer? Why not a video playlist? This would be a good subject for a Playlist blog. The solution can’t be as simple as a video playlist because video playlists don’t work the same way on an iPhone or iPod touch as they do with traditional iPods. 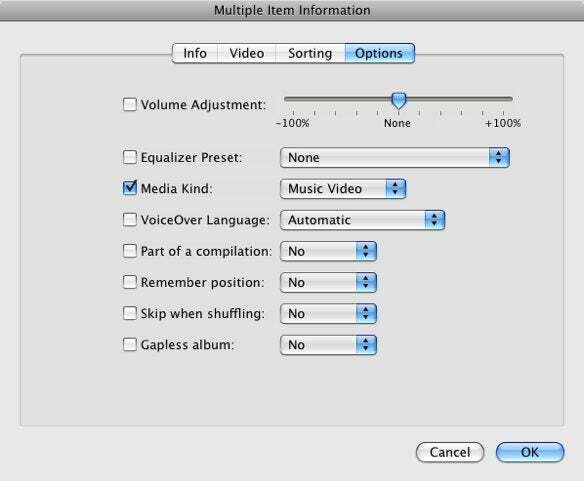 iTunes allows you to create video playlists. 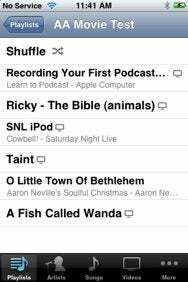 These playlists can contain each variety of video acceptable to iTunes—TV shows, music videos, and movies. When you sync one of these playlists to a clickwheel iPod capable of playing video, that playlist will appear when you navigate to Videos -> Video Playlists. Here you’ll see the title of the playlist as well as the number of videos it contains—My Video Playlist, 3 Videos, for example. Select that playlist and press the Center button and the videos are listed in the resulting screen. Are you sure you want to mix music and videos in the same playlist? Most users prefer to keep them in separate playlists. You’re welcome to click OK to ignore this warning and build the playlist as you please. When you sync it to a clickwheel iPod that supports videos, two playlists with that name will appear on the iPod. The first will appear along this path: Music -> Playlists -> name of playlist. This version of the playlist will contain the music tracks in the playlist. The second version appears here: Videos -> Video Playlists -> name of playlist. This playlist contains the original playlist’s videos. You can also create a playlist with nothing but videos in it, select them all, press Command-I to produce the Multiple Item Information window, choose the Options tab, and select Music Video from the Media Kind pop-up menu. When you assign this tag to the movies, the playlist they belong to will appear as a music playlist. Again, just tap a video and it will play in both vertical and horizontal orientation. Changing media type in the Multiple Item Information window.